Today we are going to talk about another Southerner. Like most of us, he started as just another kid in his local high school. But, Jerry worked hard 365 days of the year, he is an example of what all of us can become with hard work and perseverance. So, get a refill of your favorite Sunday morning beverage and let’s meet Jerry. Jerry was born and raised in Mississippi. His dad was a brick mason and Jerry developed his fast hands working for his dad. 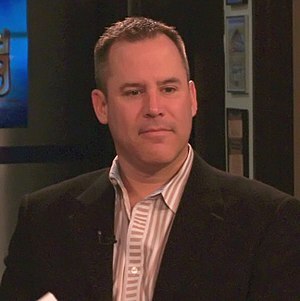 According to a book, written about Jerry by Michael Silver, Jerry ran from his principal after being tracked down for skipping school. The principal gave Jerry the choice of joining the football team or being punished for skipping school. Jerry joined the football team. Ten years after joining the 49ers football team, a new rookie asked Jerry if he could workout with him during the off season. Most football players at that time did not workout year round. Talking with a reporter later about the workout this young rookie said he literally could not keep up with the “old man.” That hard work made it possible for Jerry to spend twenty years doing something he loved in a sport where most people have to retire after five to ten years. Jerry went twelve years before his first major injury. That injury ended a streak of 189 consecutive starts for Jerry in the NFL. A streak that is longer than the careers of the majority of NFL veterans. 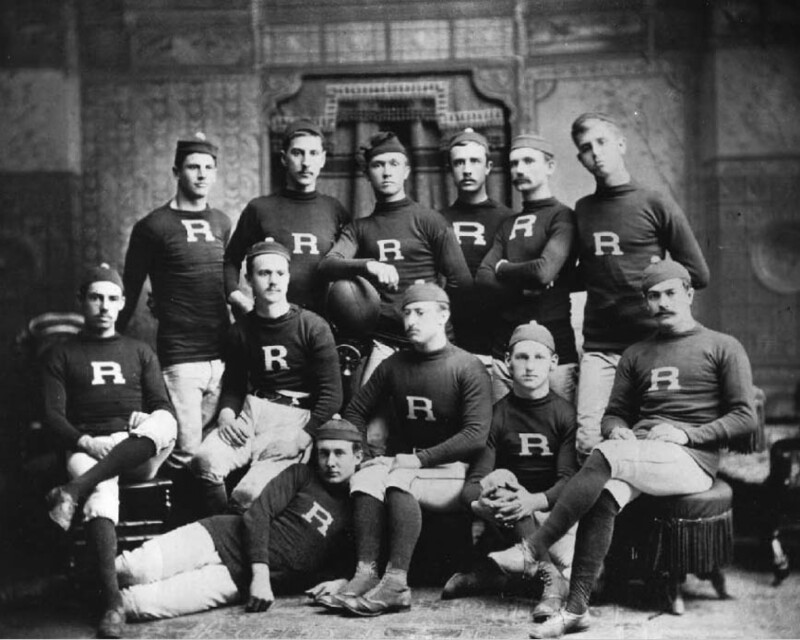 Everyone who plays college football was a high school star football player. Everyone who plays pro football, was a star in college football. Jerry is a star among stars. He always worked hard on the basics, had a strong work ethic, and was dedicated to his team and teammates. If Jerry would have had a five year or ten year career, he would have been a great player. But because of all the hard work he did, work that few people witnessed, he became the number two all-time greatest player on a list of the 100 greatest NFL players by Sporting News, in 1999. In 2010, he was named as the NFL’s greatest all-time player. He has more records than any NFL receiver does. He missed only 10 regular season games in 20 years, 7 of those in 1997 with his fist major injury. 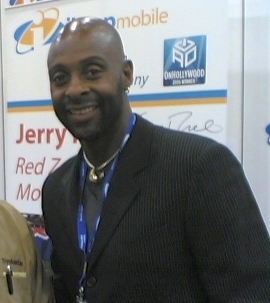 The first year he was eligible Jerry Rice was elected to the football Hall of Fame. The state of Mississippi is often cited by the press for poverty and many other attributes that many states try to avoid, often being at the top of the bad lists and the bottom of the good lists. In life it does not matter where you start or what life gives you to work with. It matters what you do with it, and Jerry Rice became the greatest of the great, because of what he did with what he had. Because of the hard work Jerry put into his profession he kept himself healthy (avoiding more serious injuries), and became the very best in his profession. Jerry spent the last several years of his career going up against defensive backs young enough to be his sons, and he bested everyone of them. If Jerry Rice can start as a young kid from Mississippi skipping school, and become the greatest football player in history, what are you going to become the greatest at? Most people have advantages Jerry Rice did not have as a young kid. What’s holding you back? That is not a good excuse. Hey, I love you like family, but if Jerry can do it you can too. So, let’s get started. The world is waiting for you. And when you make it you are not the only one who benefits. Your success will help millions of people, people you will probably never have a chance to meet. So go do it, they deserve the chance just as much as you and they are waiting on you. Me? I am going fishing with my daughter at Slate Run Park, like I do every Father’s Day. As usual, my daughter has been asking me about our annual pilgrimage since Mother’s Day. I hope YOU have a great Father’s Day! Sorry, I just could not leave for my fishin’ trip without saying one last thing. Jerry Rice and I are the same age, and boy did it feel great for this 44 year old man to watch that 44 year old man run circles around 22 and 24 year old pro athletes. 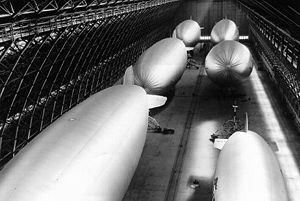 This summer, along with the normal mix of articles, I will being writing a series of articles on Airships. Airships have an “air” of romance and adventure, and have made appearances in many movies such as Indiana Jones and the Last Crusade (where Indiana and his dad rode the Hindenburg). 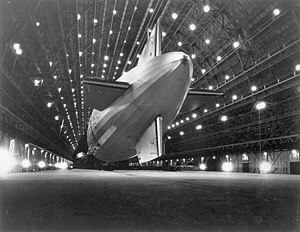 We will not be visiting movie sets, but we will have a chance to learn more about these glamorous airships. 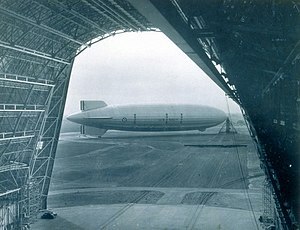 Among some of the airships we’ll discuss this summer are the Graf Zeppelin, sister ship to the Hindenburg. The Shenandoah, Macon, Akron, and L-8. 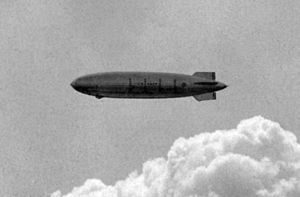 L-8 is an interesting airship with a mysterious ending. 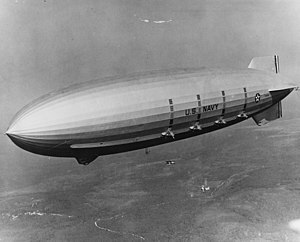 Originally a commercial blimp built and operated by the Goodyear company. 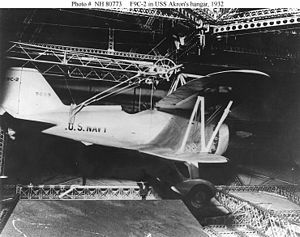 L-8 was taken over by the United States Navy during World War Two. 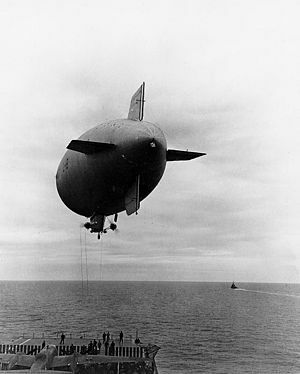 The airship was assigned to perform anti-submarine patrols on the west coast of the United States and was stationed at Treasure Island in the center of San Francisco Bay. August 16, 1942 was just another summer day in sunny California. 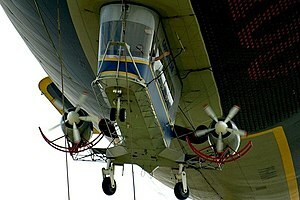 The early morning fog left a covering of dew on the cloth skin of L-8, adding weight to the airship. 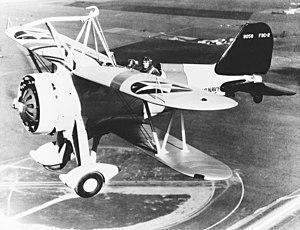 Due to the extra weight the normal crew of three was cut to two, Machinists Mate Third Class James Hill was left behind. 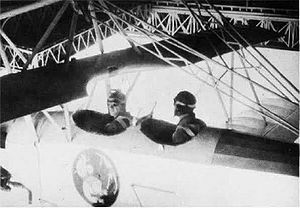 Lt. Cody, the pilot, and Ensign Adams were both experience airship men. 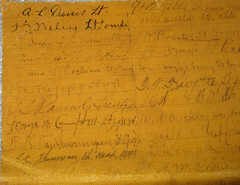 Ensign Adams had 20 years of experience with airships as an enlisted man before receiving his commission. The two men left Treasure Island about six in the morning. A little over an hour and a half later, Lt. Cody radioed in they had discovered an oil slick and were going to investigate. The men were never heard from again. Five hours after L-8 left Treasure Island, the blimp was spotted heading inland over a local beach. The blimp crashed in front of a house owned by volunteer firemen William Morris. Bill was the first man on the scene. 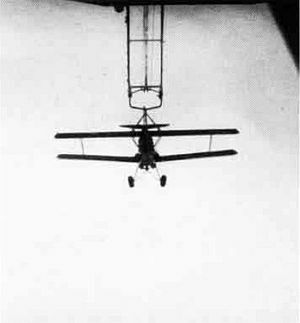 When he arrived at the gondola to rescue the crew, he found the door tied open and no one onboard the airship. 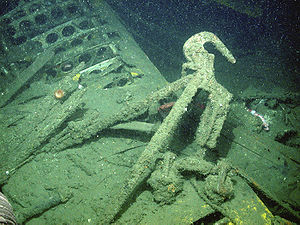 The mystery of what happened to the crew was never solved and one year later they were declared dead. 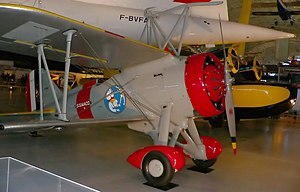 In the weeks to come I will tell you more about L-8 and a fleet of other airships. Oh, and there are engineers and businessmen hard at work on a comeback for airships. 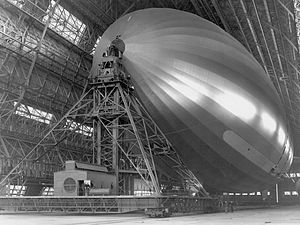 Nothing like the Hindenburg, but there are many useful purposes for airships today. Where Success With People Begins and Ends. 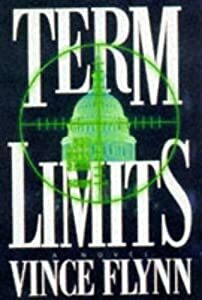 By James R. Fisher, jr. In my years as a corporate executive and then consultant, I’ve learned this: while technical systems change rapidly, the systems that govern our social behavior have evolved little in 2000 years. And we get we want out of life only by working with and through others. The greatest hunger a person has is to be needed. Help create that feeling in others. The greatest virtue is kindness. You can’t love everyone, but you can be kind to everyone. Let them have the fun of impressing you. Positive people attract others, while negative people repel. by the way you listen than by the way you talk. more than the one gossiped about. and use it often in conversation. conflict is managed in a polite manner. be sure it is yourself. Be genuinely interested in others. A smile doesn’t cost anything and pays big dividends. it makes everyone else feel better too.